Yevgeny Yevtushenko, the best-known Soviet poet from the 1960s to the 1980s, died at 83 from cancer on April 1, 2017, in Tulsa, Oklahoma. 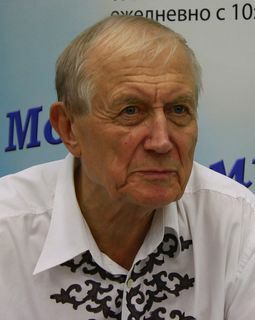 Yevtushenko, born in 1932 in the small town of Zima in Siberia’s Irkutsk region, became one of the leading Soviet poets of the “thaw period” under Soviet premier Nikita Khrushchev. Those years were bound up with official condemnation of the “cult of personality” around Joseph Stalin and the widespread hope within the Soviet people that the country could be renewed on a socialist basis. I shall never find rest. that Stalin is still in the Mausoleum. Yevtushenko’s father was a geologist of Baltic German origin. His parents divorced when he was 7 years old. The boy’s original last name was Gangnus, but his mother changed it to her family name after they moved to Moscow at the end of the war.